It is important to do a little market research before you start a lawn care business. Market research will help you to assess the demand for lawn care services in your area and allow you to understand more about the kind of people that are likely to need your services. You will also gain a good understanding of the present state of the market, the businesses currently serving it and the rates that they are charging. If done correctly, your research will give you a clear idea of the opportunities and risks that you would face if you do start your lawn business. You will know what kind of business you need to have to succeed, which services you should offer and how much you should charge for them. Lastly, the results of your research will let you know how to proceed with your marketing. There are many companies that specialize in doing market research and you could benefit from having access to accurate data that has been researched by professionals. This kind of service is expensive though and considering the size and starting capital of most lawn care startups it is more feasible to put some time and effort into doing your own research. Here are some questions that you should attempt to answer through your lawn care business market research. Would a Lawn Care Business do Well in my Area? 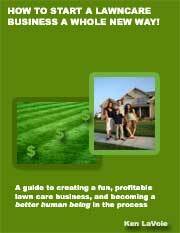 Before you go ahead with serious research and start to prepare your lawn care business plan you need to know if this kind of business would be sustainable in your area. Consider the local climate and the seasons in your state and drive around taking note of the properties in your area and the yard sizes. Take a quick look online and in The Yellow Pages and try to get an idea of the number of operators that the area is currently sustaining. If other companies are thriving then there is a good chance that you can thrive as well. Also consider the current state of your local economy. If you are in a small town that has had factory closures and company layoffs then obviously it will not be a great place to start out. What are the Local Demographics like? 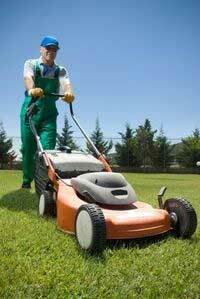 All kinds of people hire lawn care contractors to service their properties. One typical profile of a customer looking for a lawn service company would be a middle aged, white-collar household with a family income of at least $60,000. It is useful if you can learn a little about the demographics of the market that you are targeting and if they are set to change at all over the next five to ten years. Is the population rising or on the decline? Data from a local census may prove useful for your research. What are Lawn Care Businesses in my Area Currently Offering? One crucial part of your research should be phoning your competitors and asking about their services and rates. This gives you a chance to ask lots of questions about their business and the services that they offer. It also gives you a chance to analyze the way they handle customer enquiries. Most importantly you can get a good idea of market rates by having some of the existing lawn care operators bid on your lawn or some of the lawns of your friends and family members. 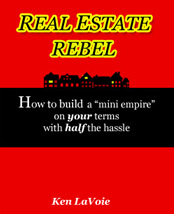 By comparing their bids with the lawn sizes you will be able to work out average rates per square foot. Do I Understand my Local Market? To really understand the local market you have to get out there and talk to people, both those that currently hire a lawn mowing company and those that do not. One good idea is to put a questionnaire together and go door to door talking to people about their lawns. Depending on where you live there may be regulations against this kind of unsolicited prospecting so be careful. Walking the area on a fine day and striking up a polite conversation with people who are in their front yards or on their driveways may be one way of doing this without actually having to knock on doors. You could also purchase a database of local people and survey them by phone or mail. Firstly, try to get a little information about who they are to get an idea of what kind of local people would require lawn care services. It is easier to enquire about personal details such as age bracket and income bracket if you do it via a questionnaire. You can also find out which lawn care provider is currently doing their lawns, if they are satisfied with their work and the price and if there are any other specific services that they require for their home or yard. Don't pry too much but you may be able to find out who your competitors are and exactly how much they are charging. Lastly, it is great to know what kind of advertising local people might respond to. Ask them about the newspapers and magazines that they read or the local radio stations that they listen to. Get some contact details from them and then when you start your business you can contact them again. Let them know that you have taken their input into account and created the kind of lawn business that you felt would suit people like them. What about Changes in the Marketplace? No market remains static so it is important to keep your finger on the pulse of the market on a continual basis. Your lawn care business marketing plan may have to evolve to keep up with such changes. Once your lawn care business has a good number of accounts you will be able to get an even better understanding of your market through customer feedback. Feedback by the way of occasional conversations with clients as well as via customer feedback forms will allow you to refine your services and marketing even more. By doing thorough research before you set up a lawn care business you eliminate risk, meet prospective customers and get the information that you need to guide your business in the right direction.